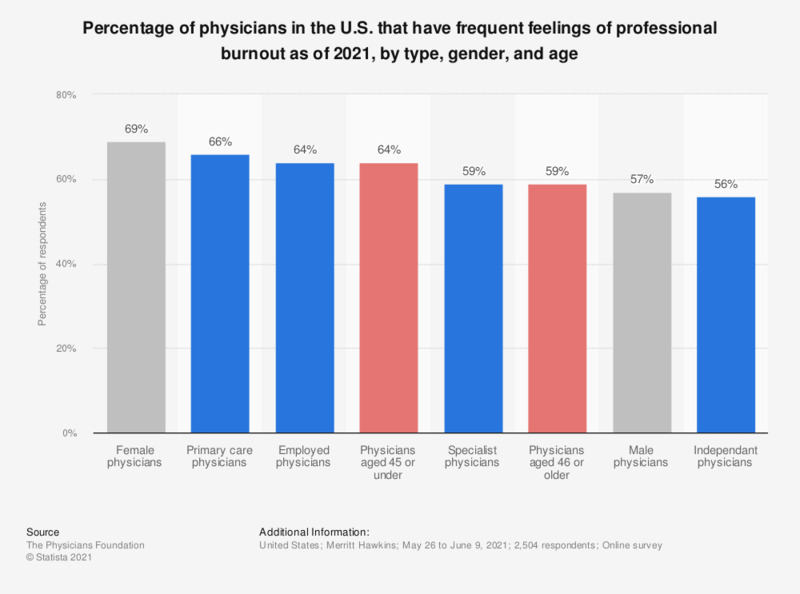 This statistic presents the percentage of surveyed physicians in the U.S. that reported feelings of professional burnout, according to a survey conducted from April to June 2018. It was found that 37.7 percent of surveyed physicians reported sometimes having feelings of professional burnout. Original question: "To what extent do you have feelings of professional burnout in your medical career?"